It's easy to Connect with us! The Parish of Corpus Christi in south St. Augustine warmly welcomes you to join us in celebration of the Holy Mass. Please check the menu choice 'Mass Schedule' above, and download the weekly bulletin below for information. Holy Wednesday at the Cathedral-Basilica - Chrism Mass @ 11 a.m.
Lord’s Supper @ 7 p.m. followed by adoration in chapel. Good Friday – (No morning Mass) Liturgy of the Lord’s Passion @ 3 p.m.
and Chaplet of Divine Mercy. Confessions 2:30 to 4 p.m. and Easter Vigil @8:15 p.m.
Join Fr. 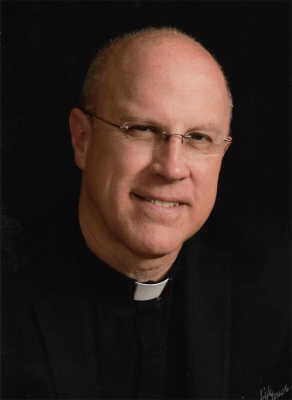 Ed Murphy for a 12 - day Pilgrimage to the Holy Land & Jordan! 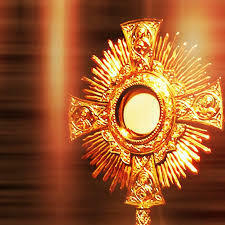 Come visit with Jesus as present in the Holy Eucharist! Sign up to spend one hour with Him, available after weekday 9am Mass and Rosary through 9pm, on Monday - Friday. Call the Coordinator of this Ministry: Deborah Harvey 904-599-7732. Can you commit just one hour? Matthew 26:40 Then Jesus returned to the disciples and found them sleeping. “ Were you not able to keep watch with Me for one hour? " He asked Peter. We're up and running on the My Parish App! Click on this icon and download to your smart phone, laptop or PC for instant, relevant Parish information. 2. Enter your birth date (must be over 13). the 'select a parish' list. It's that simple to stay in touch with Catholic Life Every Day! ​ONLINE GIVING is available and convenient! simply click on this facebook icon to go directly to our page!